The Disney and Fox merger deal is reportedly done. Several news outlets are claiming that the studios have come to terms and are waiting for the contracts to get drafted and signed. Now that this news is semi-official, Hugh Jackman's name has come up a lot and many are speculating that he will put on the Wolverine costume one more time to rub shoulders with Captain America in Avengers 4. This is only the tip of the iceberg as far as the ramifications that this deal will have on the MCU alone, never mind the rest of details about what this means for the entertainment industry. Hugh Jackman retired from the role of Wolverine after this year's critically acclaimed Logan, but the new Disney and Fox merger might coax him out of retirement one last time. Several news sources including Ain't it Cool News, claim that the deal is done and that Jackman is willing to come back. Regarding why Jackman would return as Wolverine for Avengers, the actor previously stated the only way he would return to the role is with The Avengers. Hugh Jackman has been quoted as saying, "The Avengers would prove too much to turn down." Now this doesn't mean that this is going to happen 100%, but Fox has yet to replace Hugh Jackman and Avengers 4 is currently in production. A quick cameo, in theory, would not be too difficult to pull off. 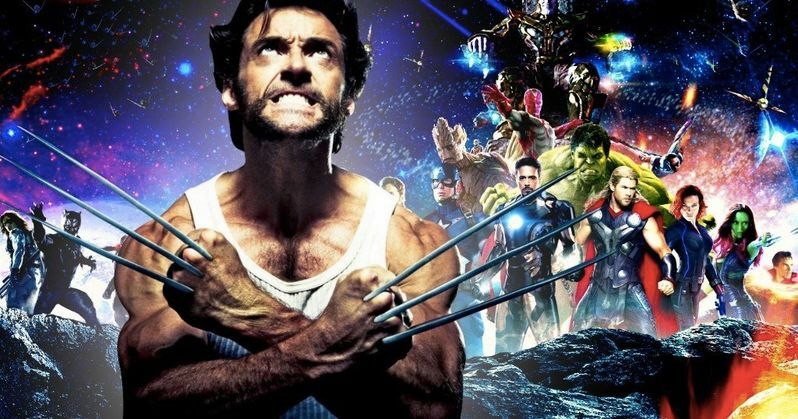 Jackman previously stated that if a script came his way featuring The Avengers, Captain America, and Iron Man, he would heavily consider the idea of returning as Wolverine. He explains. "Because I always love the idea of him (Wolverine) within that dynamic, with the Hulk obviously, with Iron Man but there are a lot of smarter people with MBAs who can't figure that out (laughter). You never know. At the moment, honestly, if I really did have them there, I probably wouldn't have said this is the last." This is all speculation at this point and it has not even been confirmed by Disney nor Fox that they have reached a deal, but it sure is fun to think about. As previously mentioned, a cameo doesn't seem like it would be that hard to pull off and could be a way of the MCU announcing that the X-Men have come home and are ready for the next chapter of the MCU. While it has been revealed that we're going to see a lot of lesser-known Marvel characters on the big screen with the so-called Phase 4, we might be getting a whole slew of beloved characters as well, ready for their MCU makeover. So, the Fox and Disney deal may have reached a deal, but the ramifications have yet to be truly researched. This could be a golden time for Disney and the Marvel Cinematic Universe with all kinds of crossovers that were never imaginable before. Marvel Studios head Kevin Feige has revealed that he already has ideas for the X-Men, so this is all not as far-fetched as one would assume. While we have fun thinking about the idea of Hugh Jackman suiting up as Wolverine one more time to hang with the Avengers, check out some more news regarding the merger courtesy of Ain't it Cool.